Are Your Kids Always Fighting With Each Other? Your life is busy enough with all the many responsibilities you have to look after in a given day, and having to deal with your kids constantly being at each other’s throats isn’t really helping your attempt to manage your stress levels. Unfortunately, the extra stress caused by having kids who don’t get along can have unwanted side effects (as stress often does), seeping into other parts of your life. After all, being surrounded by fighting puts you more on edge, which means you’re more likely to engage in an argument yourself, whether with a partner, family member or friends who may be keen to offer well-meaning “advice” regarding the situation. One thing is for certain, everything seems to result in a fight between your kids. This could be because your kids have contrasting personalities or even because they are so similar that they clash over everything, particularly if being stubborn is a shared trait! As a parent, it can be difficult to know what you can do to help your kids get along better. Is it best to intervene when they are fighting or will this simply heighten the situation? Should you let the argument ride its course, even when you secretly agree with the points of one of your children? If you are in the rather unfortunate situation of parenting kids who don’t get along, consider these strategies for bringing calm back to at least one aspect of your life. In today’s hectic world, especially during breaks from school or on weekends, it is so easy for kids to hide in their bedrooms and delve into their technology. 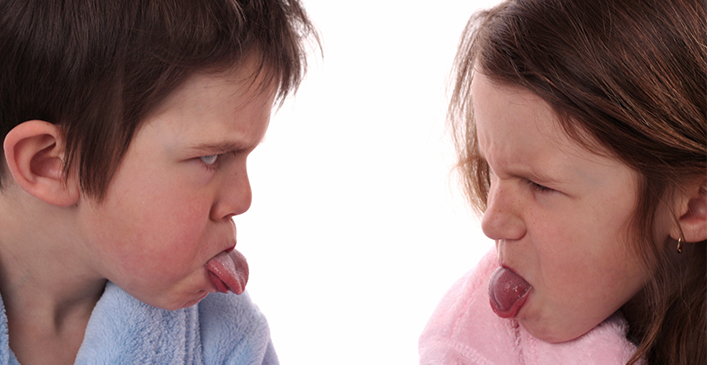 While this can indeed provide a certain amount of welcome relief for both kids and parents, clashing siblings have been know to verbally argue even about the online games they are playing in separate rooms! Ideally, before this situation arises, and even if you do it in a subtle way, it is best to encourage a small group activity. This could be with friends or family or even just yourself and your kids. There is no end of activities you could choose, particularly if you are an athletically-inclined family, but a couple of simple suggestions could be going for a walk in your nearest park and taking a picnic and a ball with you, or, if the weather seems to be against you, you could think of a nice treat you could all make together in your kitchen. It is surprising how even the simplest activities can naturally encourage family bonding and can also relieve the “boredom factor” which can be a big reason why kids argue in the first place. Although it is easy in the heat of the moment to take the side of the child you believe to be in the right, try to remain calm and take a step back. Ask yourself if this is a situation they could sort out themselves without your intervention. If you still feel it is necessary to intervene, you may well have a natural urge to yell or punish the child you believe to be in the wrong. However, doing so is likely to make the situation worse and could result in one of your kids feeling insecure. Instead, after empathizing with both kids, try to get them in a calm frame of mind. This may sound impossible after a heated argument, but remember you are leading by example. If you stay calm and don’t yell, you will more than likely find your kids will stop yelling too. Do a simple breathing technique, such as breathing in and out for four seconds at a time, before addressing the situation. You may find this will distract your kids from the argument, and they may even join you and calm themselves down. Sometimes it can seem to parents that other families have an idyllic life, especially when other parents are constantly posting sweet photos of their children on social media. The truth is, though, regardless of how angelic your coworker’s family looks in her Facebook profile picture, her family also has similar ups and downs behind closed doors. While it would be ideal if every member of a family got along perfectly all of the time, arguments are bound to arise from time to time that require mom and dad to put out the fire. They might even bond when they are telling each other about the nice experiences they had on their days out!